We all have a favourite comfort food don’t we? What’s yours? Mine is definitely pasta in some sort of form, and specifically mac ‘n’ cheese. 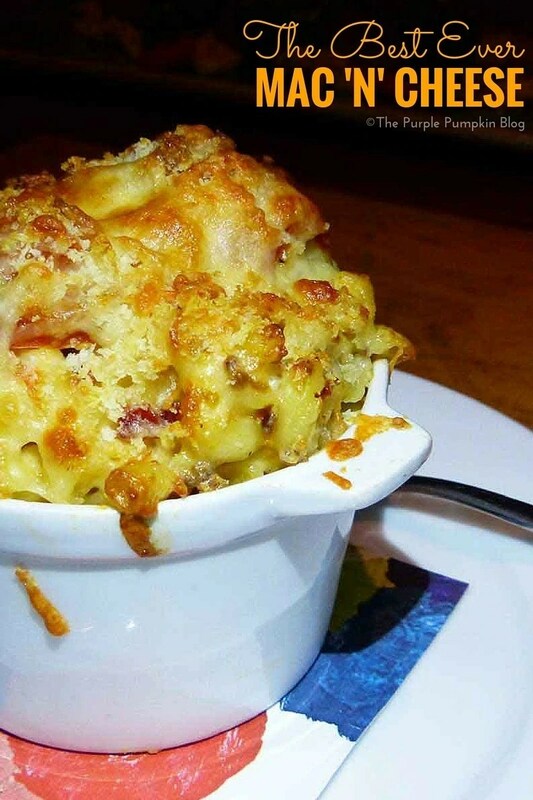 I’m always on the look out for the Holy Grail of macaroni and cheese recipes, and I think I’ve found it! While on holiday at Walt Disney World, we ate at Jiko – The Cooking Place. One of their sides was a dish called Braai Macaroni & Cheese, which was so good! Braai means to grill or barbecue, in Afrikaans. It also had other ingredients: chakalaka (a South African vegetable relish) and boerewors (South African sausage). The topping was crunchy, which I think was down to the addition of panko breadcrumbs. I asked the server if I could have the recipe, which is something you are welcomed to ask for any Disney restaurant. He referred me onto the front desk – the Cast Member wasn’t sure if they had it available, but went to ask the chef. She came back with a print out of Jiko’s macaroni and cheese, which is the basis, I assume for the aforementioned dish. 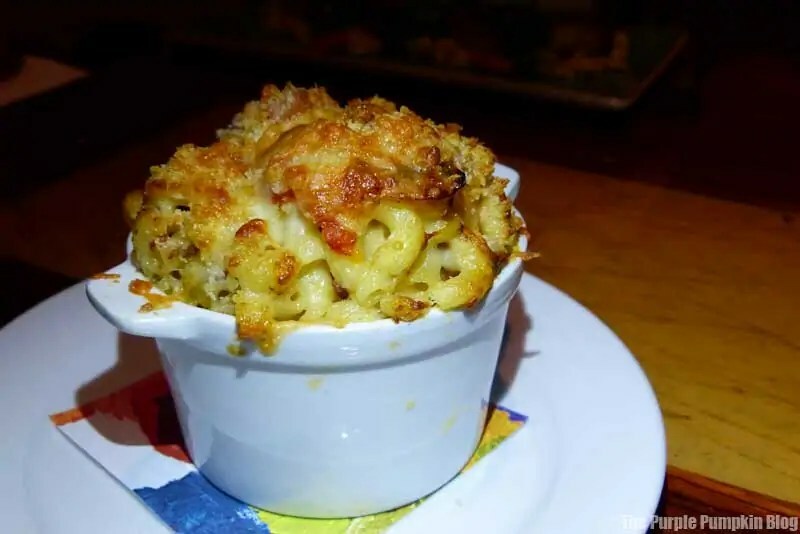 So for now, that’s what I have to share, and will be making at my first available opportunity, because, to me, it really is the best ever mac ‘n’ cheese! To give a crunchy topping you could sprinkle over some panko breadcrumbs. Prepare the macaroni according to the directions on the package. Make a roux with the flour and butter. bring the milk to a simmer and work in the roux. Add cheese, salt, and pepper to taste. Pour over the macaroni and heat through in a moderate oven.